At Claycots School we believe that Music Education is an integral part of a child’s school experience. 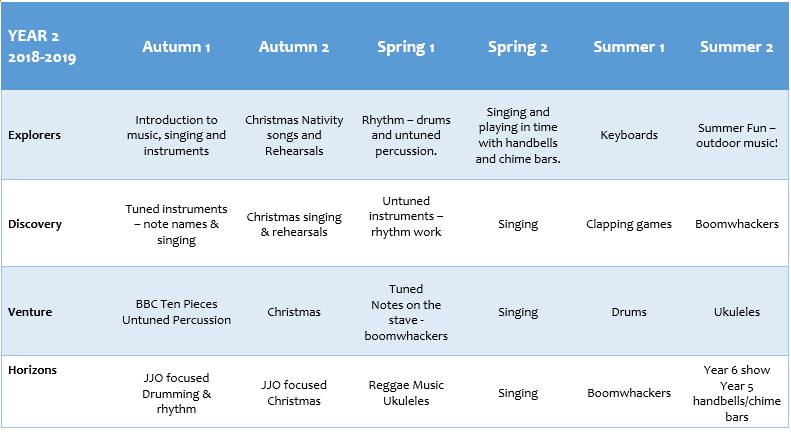 Children from Nursery to Year 6 should be given opportunities to compose and perform their own music, while using a wide range of good quality tuned and untuned instruments. 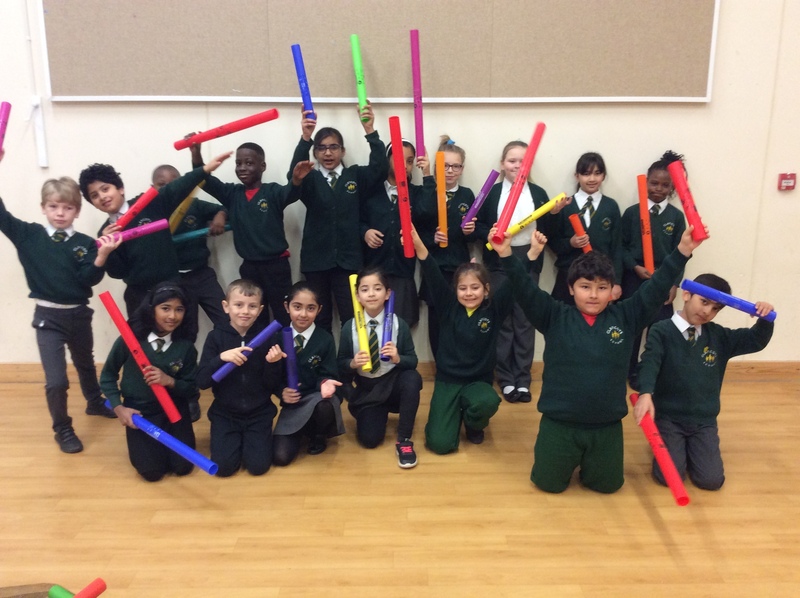 They should also have the opportunity to experience live music, in the form of performances at school and trips outside of school such as Young Voices. Music is essential in creating a well-rounded child with transferable skills which will assist them in everyday life, in their academic achievement, and in their future careers. Meets every Monday morning at 8am at Britwell, and every Wednesday morning at 8am at Town Hall, open to Years 3-5. Please email music@claycots.slough.sch.uk for more details. Children in Years 5 and 6 have been learning about different breathing exercises to help with their singing. Try them at home!